G-Star RAW collaborated with Aitor Throup on the RAW Research collection. 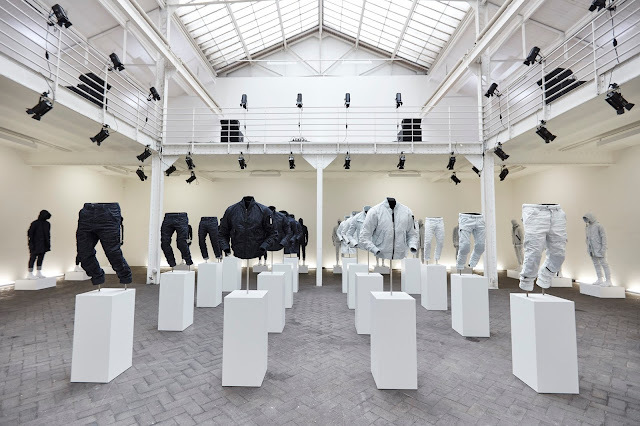 Focused on experimenting with product design by clashing tradition and innovation, Throup led the G-Star RAW team through a process based largely in experimentation and exploration to find new ways of crafting denim. Thus resulting in the first RAW Research collection which explores the two polar opposite states in the life of a denim garment, using the same Italian selvedge denim fabric for every single piece. On one extreme: rigid, untreated raw denim, on the other: bleached-white denim where only a hint of indigo remains. 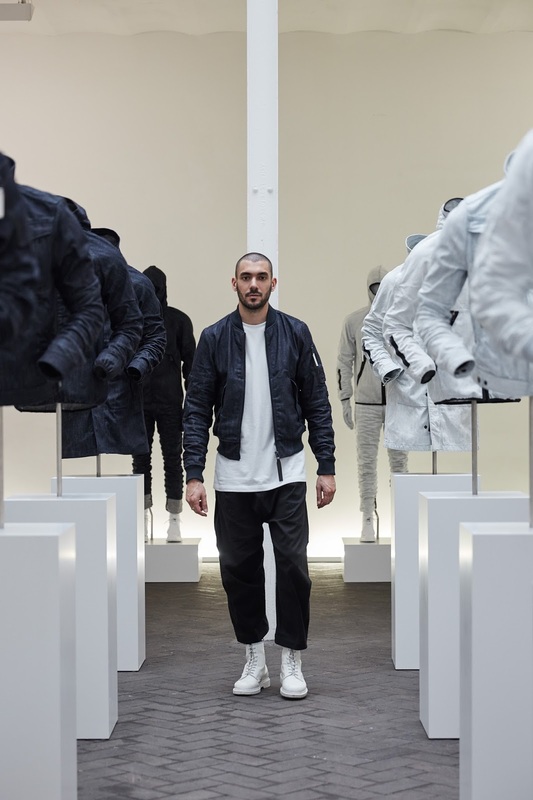 The collection consist out of 20-pieces and notable details include: a bleached version of the Rackam 3D tapered jeans and the Rackam bomber (a jacket that can be taken off yet remain attached to the body through an innovative strapping system). 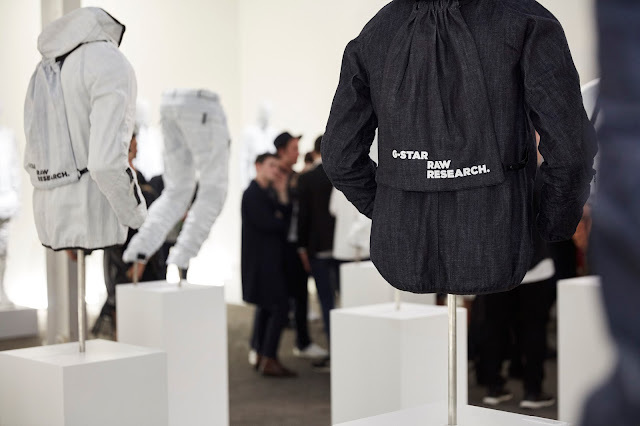 The entire collection was produced at G-Star RAW’s internal innovation laboratory at their Amsterdam headquarters.